From the Lisbon collection, a richly textured media console crafted in cerused oak and shimmering brass. 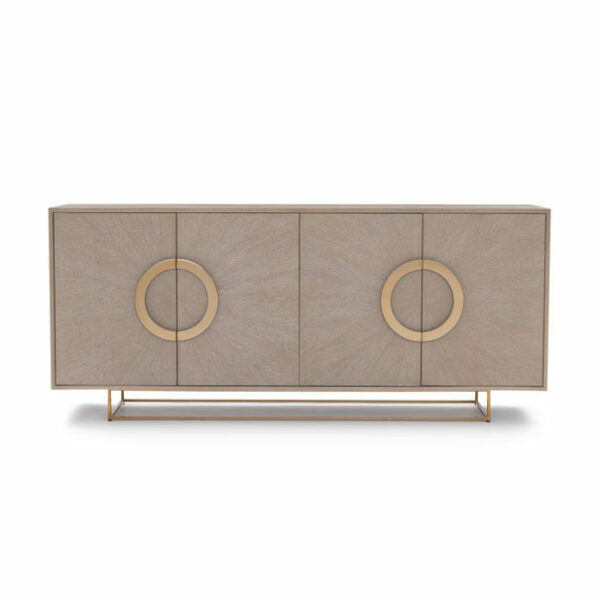 Features oak veneer doors in a striking starburst pattern, accented by split-ring pulls and a slim brass base. Versatile console offers ample storage for living, dining, bedrooms, and entryways.